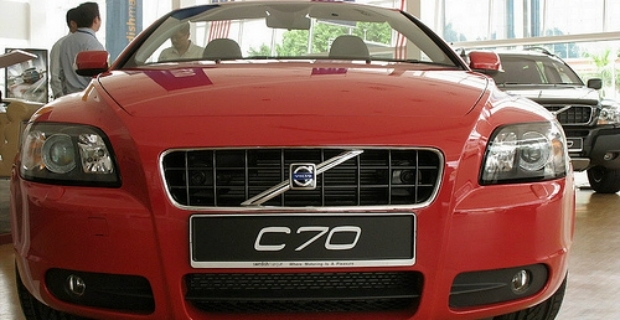 Volvo is a respected brand known for producing reliable and road worthy cars. Although Volvo cars are sturdy vehicles, there are service parts that break down and need replacement. Repairs and maintenance using Volvo car parts sold online is convenient saving you time and money from rushing from one place to another. You also get good prices. First stop is the Volvo website (volvocars.com)where you’ll get dealers nearest to your location for availability of accessories and parts. Eurocarparts UK (eurocarparts.com) offers a huge selection of Volvo car parts sold online for different brands including oil, fuel, and air filters, spark plugs, timer belts, and wiper blades. From service parts to brakes and engine pads, you’ll get everything you need. There’s even a promo code to reduce the costs of your spare parts when you buy them from the store. An air filter for a Volvo S40, for example, costs £15.30. Parts for Volvos (partsforvolvosonline.com) also keeps a stash of Volvo spares from clutch and transmission to exhaust and fuel system. So, if you’re looking to refurbish an old car you have sitting in the garage, you’ll have good chances of finding them right here. Volvo Parts (volvopartshop.com) is another place to hunt for spares and replacement parts. They claim to sell genuine parts so it’s best to try them out yourself. Second hand shops are also great places to browse for Volvo parts such as 247 Spares UK (247spare.co.uk). Have a look as well in junk yards or shops selling pieces from stripped cars. Examples include BreakerYard (breakeryard.com) and Volvo Salvage Auction (salvagesparefinder.co.uk). Other sites where you can scout for hard to find pieces include active forums where members interact, exchange information and ideas. Perhaps, you are restoring a vintage Volvo. You might need a bumper or light covers which are not manufactured anymore. Visit forums of Volvo enthusiasts such as Volvo Forums (volvoforums.org.uk) and Volvo Club (volvoclub.org.uk) for great tips and leads. These are a few of the shops where you can buy Volvo car parts online. It's up to you to shop around, research prices, and deals for Volvo spares and accessories. Buy from authorised or reputable dealers to ensure you get genuine parts and accessories for your car. Think also of the warranty in case something goes wrong before the expected life of spares run out.